Good news for SKY Pacific viewers as they will now get to also watch the world-renowned Paramount channel. Paramount is a premiere 24-hour movie channel from one of the most iconic Hollywood studios. Digicel Fiji, the new owners of SKY Pacific, introduced the new channel yesterday for thousands of its customers across the region. Since Digicel took ownership of SKY Pacific just two months ago, the communications company has already started to introduce exciting new content. The introduction of the paramount channel is further testament to their commitment to bring about improvements for customers. 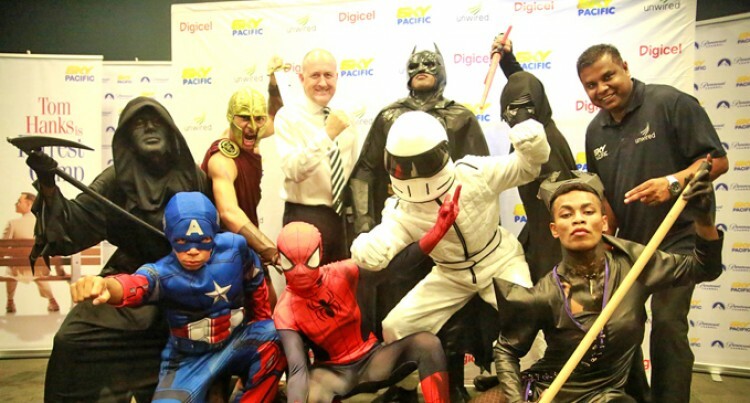 Digicel Fiji chief executive, Darren McLean, said: “We are excited about being able to offer SKY Pacific customers a new movie experience with the Paramount Channel. “Their vast library truly offers something for everyone in the family- including blockbuster films and family favourites. He confirmed there’s no plan for change in subscriptions.